I love public speaking. Like, love it. I just found out that for a final I have to give a presentation. And I couldn't be more excited. I know some people get freaked out by this kind of stuff, but I just can't empathize. Because I love trying to work a crowd. Which is why I love my calling as a Sunday school teacher. Not to mention why I considered teaching high school for so long. And also why I might run for public office someday. 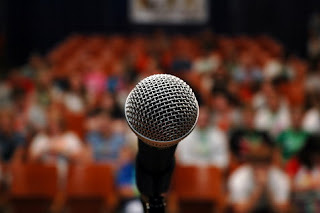 Just get me a microphone and a bored audience and I am the happiest of campers. 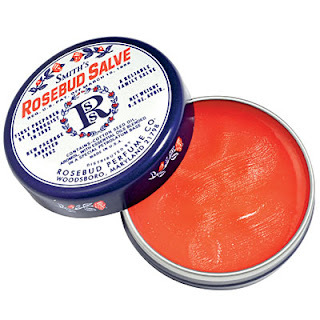 Ps: After reading this by Sister Amy M., now off in the Provo MTC waiting to go to the Philipines, I went and purchased Smith's Rosebud Salve from Sephora, my favorite store on this entire earth. And guess what, that girl was not lying. This stuff is now an every-day staple for me too. i. love. it. But beware, it's pronounced "SAV," not "SALVE" like it's spelled. I had to find that one out the hard way... Pronunciation issues aside, go buy it now!